What do you do after you’ve had a car accident in New York? At Riegler and Berkowitz we have been representing people involved all types of vehicle related accidents for many years. We understand how to help you and guide through what is, for you, a difficult time. Who will pay to repair or replace your car? Who will pay your medical expenses? Who will pay your hospital and doctor bills? 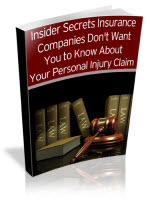 How will you be compensated for your injuries? As seasoned Long Island car accident lawyers we will help you get these questions answered quickly. We will represent you and do the necessary work to deal with the insurance companies so that your bills are paid without delay. We are Long Island personal injury lawyers, so we are close by. We are available to meet with you in your home or even at any of the hospitals in the Long Island – New York City area.